The Age Newspaper ran a good story in Epicure: This restaurant will breath some new life into Acland St - congratulations Chulo! The hidden guest room (with pivoting book case) featured in the Australian Financial Review. AWS windows feature Narrabundah House. 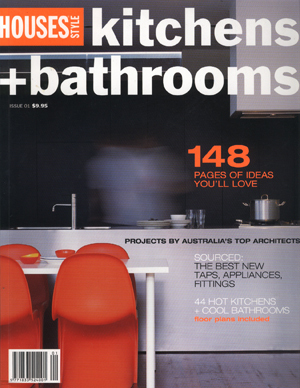 Northcote House featured in Australian House & Garden Magazine, August 2014 issue. Fisherman's Bend House featured in the Australian Financial Review. Restaurant and Catering Magazine - Kerryn Ramsey writes a great article on MoVida Sydney. Australian Financial Review - Stephen Crafti reports on Fisherman's Bend House. The Age Newspaper, Domain, 17 November 2012. The Zero Carbon Village: Cape Paterson Ecovillage (By Kate Robertson). 100 Great House Extensions, Ed. Philip Jodidio, Images Publishing, 2007. Shortlisted competition entry for the Proposition 3047 architecture competition. MoVida Sydney covered by Broadsheet.